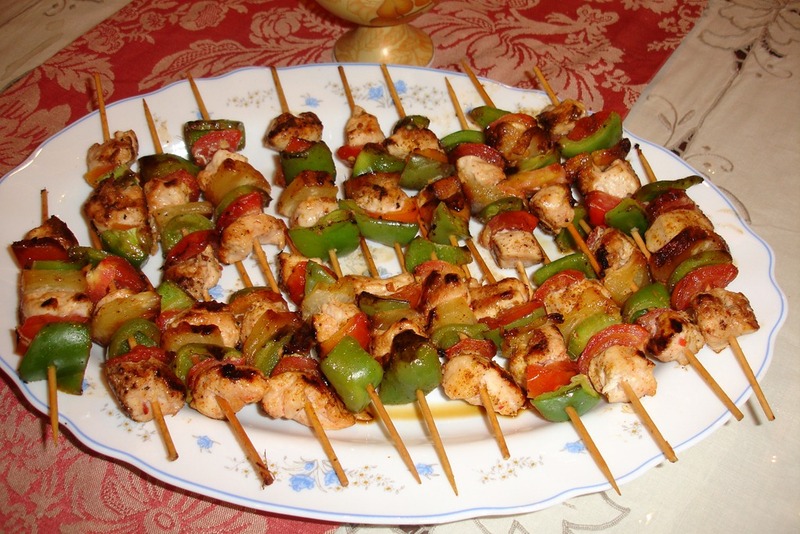 Delicious, tender, juicy Chicken Shashlik Sticks the whole family loves in less than 40 minutes! These Shashlik Sticks are EASY to make and so versatile. Marinade chicken cubes in ginger garlic paste, ketchup, soya sauce, mustard paste, salt, black pepper, red flakes. Leave it for 30 minutes or you put it in fridge for overnight to enhance the flavuor. First, soak wooden sticks in cold water for five minutes. Now thread chicken, tomato, green bell pepper and onion in it. Repeat and fill all your sticks. Heat a griddle pan or grill and apply a little oil. Place chicken skewers on hot griddle or grill. Cook over medium-high heat, turning and brushing with leftover marination sauce often, for 12-15 minutes, until chicken is fully cooked. Squeeze lemon juice over all sticks when they are ready. Delicious Chicken Shashlik Sticks are ready to serve. Serve with salad and your favorite dipping sauce for a complete satisfying meal.